It is no secret that ocean plastic waste is a huge problem for our seas but, in its enormity, it’s hard to know how you as an individual can help make a difference. However, while it will ultimately be government legislation and international initiatives that are needed to solve the problem, there are some very simple things you can do to help. 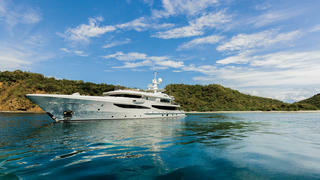 One group of people who have taken this message on board are the captain and crew of 55 metre Amels superyacht Step One. A popular charter yacht, for the past few seasons all plastic drinking bottles have been removed and, for the crew, replaced with insulated reusable bottles that can keep water cold for up to 24 hours. 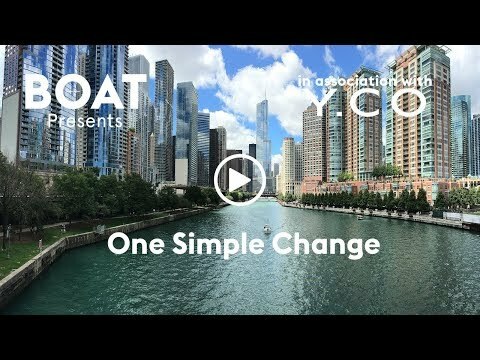 This small, simple yet utterly effective change was quick and easy to implement and, in fact, made life on board even easier for a busy charter yacht crew. With thousands of superyachts making up the international charter fleet, should each one of them choose to follow suit the reduction in global ocean plastic waste could be enormous.